This Kit Will Allow You To Create A Beautiful Design That Will Make A Great Decoration For Any Room Of The House Once You Have Completed It. This Package Contains 100% Cotton Dmc Floss, 14 Count, 100% Cotton Aida Fabric, One Needle, A Chart And Instructions. Design Size: 9.5X9.5 Inches. 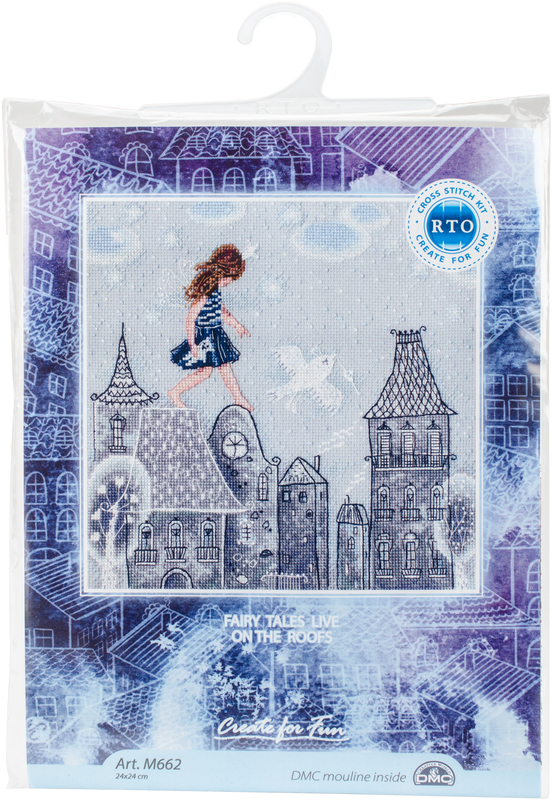 Design: Fairly Tales Live On The Roofs. Imported.